Amazon and Wells Fargo on Thursday announced a partnership in which Amazon Prime Student customers that apply for any of the lender’s private student loan products will receive a 0.50 percent interest rate discount. John Rasmussen, Wells Fargo’s head of Personal Lending Group, said they are focused on innovation and meeting their customers where they are – and increasingly that is in the digital space. Rasmussen added that this is a tremendous opportunity to bring together two great brands. I couldn’t disagree more and quite frankly, I see this as a new low for Amazon. Student loan debt is at an all-time high in the US. According to Market Watch’s student loan debt clock, the nationwide tally sits at more than $1.3 trillion dollars and is growing by $2,726 every second. This, folks, is what’s called an epidemic. I mean, seriously, have you seen Reddit's personal finance and student loans subreddits? 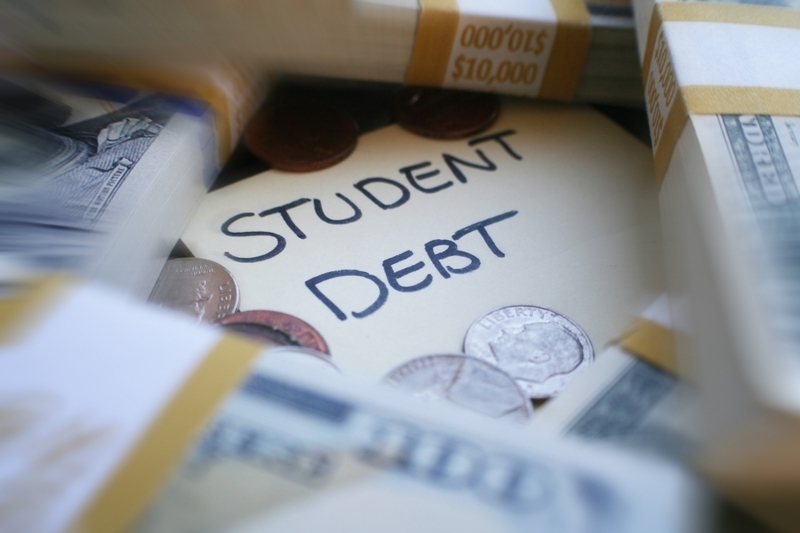 Burdening young people with thousands or even hundreds of thousands of dollars (depending on their major) of student loan debt that must be paid back fresh out of college has become such commonplace that most don’t think twice about it. As respected financial expert Dave Ramsey proclaims, your most powerful wealth-building tool is your income. If you’re giving it away to student loan providers every month for the next 30 years, you’re being robbed of your ability to build wealth. How can you ever plan to win with money following this formula? The fact of the matter is that, despite what our culture tells you, it is possible to go to school without taking out student loans. Here’s how. The easiest route is if your parents have the ability to fund your education. Granted, most people aren’t in such a fortunate situation but for those whose parents have saved for education over the years or can cash flow it, by all means, take advantage of it! For those on the opposite end of the spectrum that come from low-income families, you’ll likely qualify for need-based assistant based on your parents’ income such as the Pell Grant which doesn’t have to be repaid. If neither of these avenues exist, turn to scholarships. For those that are still in high school, work your tail off to get your grades up and apply for academic scholarships. A little-known tip is that many companies and businesses offer small scholarships that are handed out based on essay writing. Make it your duty to apply for at least one such scholarship each day over the summer. You won’t get most of them but even if you get just a few, that can save you thousands of dollars. Another viable option is the military. I know that enlisting isn’t for everyone but if you think it’s something you’d be interested in, the G.I. Bill can pay for much of your education. Also note that it’s not a crime to work while you’re in college. A part-time job can go a long way in helping to pay for college and yes, you can still find time to study alongside work (but you might not have as much free time for beer pong). Those already in school and planning to get their PhD should know that many universities will fully fund their doctorate students by covering tuition and even offering a stipend for living expenses. Similarly, fellowships are worth looking into if you’ll be in school for several more years. What if you’re already out of school and have loads of student loan debt? If you’re a teacher, look into teaching at an inner-city school or in an area that has a shortage of teachers as these often offer student loan forgiveness programs. Similar programs also exist for doctors and other healthcare professionals. A word to the wise – if you do go this route, try to avoid plans like the Public Service Loan Forgiveness program which requires you to work in your field for a whopping 10 years before they’ll forgive the remaining balance of your loan. If you have a lot of student loan debt, look for a plan that’s five years or less. After all, who wants to be in student loan debt for a decade? Being tied to a single job or area for 10 years may mean missing out on other, more lucrative opportunities. Above all else, make sure that if you’re going to college, you get a marketable degree. Seriously, why burn through so much money just to end up with a degree that has zero market value? As Rachel Cruze would say, don’t get a degree in left-handed puppetry. All I ask is that you think twice about taking out student loans. They may seem convenient at the time but they’re a royal pain once you graduate (assuming you do graduate which is far from a given). Student loans aren’t bankruptable meaning unless you become permanently disabled or die, they’re sticking around until you roll up your sleeves and attack them with a vengeance. Trust me, I speak from experience.